The exciting sport of K9 Nose Work® has been designed to help you and your dog work together to use their natural desire to hunt with their nose. By providing a constructive outlet, K9 Nose Work® is a sport that challenges dogs both mentally and physically and is a very healthy way for them to release energy. No previous experience or training is necessary for the teams involved since this wonderful sport is open to dogs and handlers of all breeds, ages and abilities. Human companions of reactive, shy or nervous dogs will be pleased to know that K9 Nose Work® is a very suitable sport for their dogs. Not only does nose work help to build confidence but each nose work sniffinar is set up in a way that only one dog will work at a time therefore limiting any competing motivators or fear inducing stimuli present during the work. We are offering 3 levels of K9 Nosework®. Does your dog love to sniff? K9 Nose Work® taps into your dog’s natural scenting ability. K9 Nose Work® was inspired by the training of scent detection canines. K9 Nose Work® is open to all dogs including dog-reactive or fearful dogs as there is only one dog in the search area at a time. It is also good for retired, injured, disabled, or elderly dogs. No previous experience or training necessary - for the dog or the handler! Classes are taught with the K9 Nose Work® philosophy of nurturing a dog's natural talents and adjusting to the individual dog without the pressure of human expectations. Now that your dog is eagerly hunting for their primary reward (food or toys), they are ready for Introduction to Odor! In this class we teach your dog to identify and search for a target odor (birch or wintergreen). We focus on building dog/handler teamwork by improving the handler’s observation skills and the dogs’ communication skills to the handler when they find the target odor. Note: Classes are taught with the philosophy of the National Association of Canine Scent Work. The scents of the Sporting Detection Dogs Association odors are also taught for those that are interested. Prerequisite: Intro to NW class or an Intro to NW seminar. Ready to challenge your dog? This class is focused on creating advanced nose work skills in both the handler and the dog. 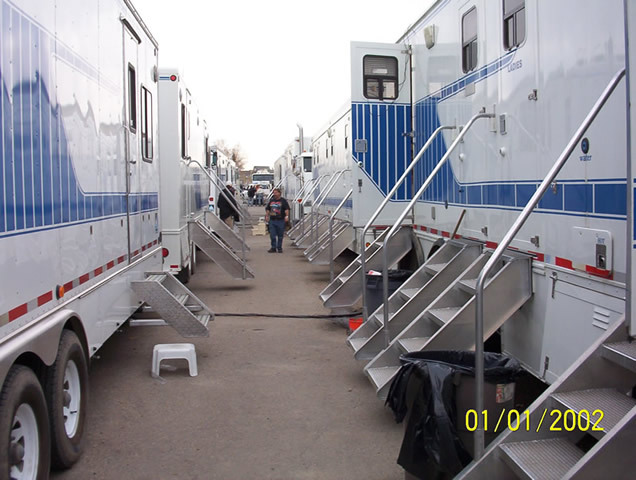 We will continue to work vehicle, interior, exterior and container searches. Take the basics of K9 Nose Work® and expanding how and where you can locate hides, teaching dogs to search large areas, extremes in elevation, patterns, thresholds, focus and drive. Increase handler skill for reading the dog when on odor, timing and placement of the reward for unpaired hides. Prerequisite: Intro to Nose Work and Intro to Odor class. 2 family members are welcome and strongly recommended to attend for a one – time only fee of $40 + GST per family. This 2 hour seminar will include canine communication, learning theory, leadership habits, destructive behavior solutions, house training and crate training tips. Is your dog needing some new challenges and something different and exciting to learn? This 4 week tricks class will stimulate your dog mentally and he will amaze your friends and family. Teach your dog fun behaviors like: roll over, take a bow, spin, weave through legs and many, many more! We use the clicker training method as part of our positive reinforcement training techniques. This course is great for senior dogs to keep their mind working and relieve boredom. Each class meets once a week for 4 weeks. 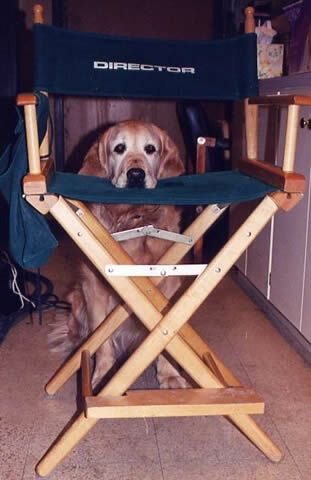 Teach your dog to do the things that the Hollywood Dog Stars can do! Join Superdog Spectrum’s owner/operator, Lori Boyle, and learn all of the secrets of movie dog training. 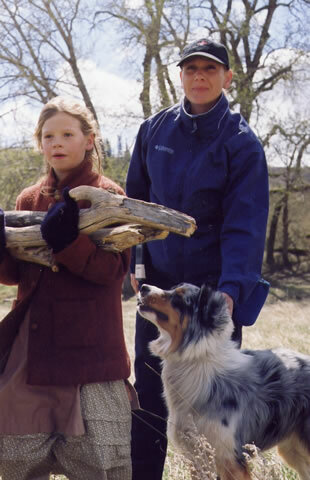 Under Lori’s instruction, you will teach your dog the basic behaviours that are the necessary foundation for more advanced movie dog training. Learn such fun & impressive hebaviours as head down, go to mark, bond and more. Each class meets once a week for 6 weeks. Build on the behaviors you taught your dog in the "Take One" class. Using a clicker and positive motivation, you can have your dog accomplishing stunning sequences using "with friend" and "bond" just like you see your favorite canine celebrities doing. Come and learn how they do it! The answer is Freestyle! Dancing with your dog! This international sport has become quite popular with the obedience crowd. Put together a dance routine using basic obedience skills and tricks. Learn how to pick a piece of music that works well with your dogs gate. In a short time you will be showing off to your family or entering the world of international competition. It's all possible when you learn canine freestyle. Your dog should have basic obedience skills. 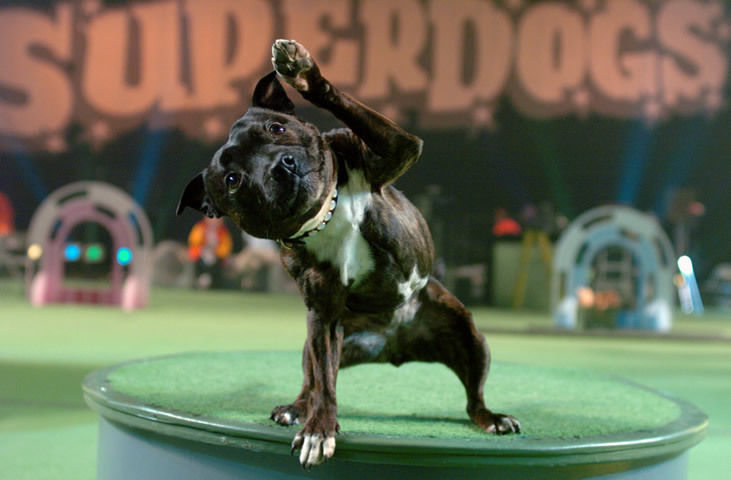 Do you want to teach your dog the fun and exciting games that the Superdogs play in their show? 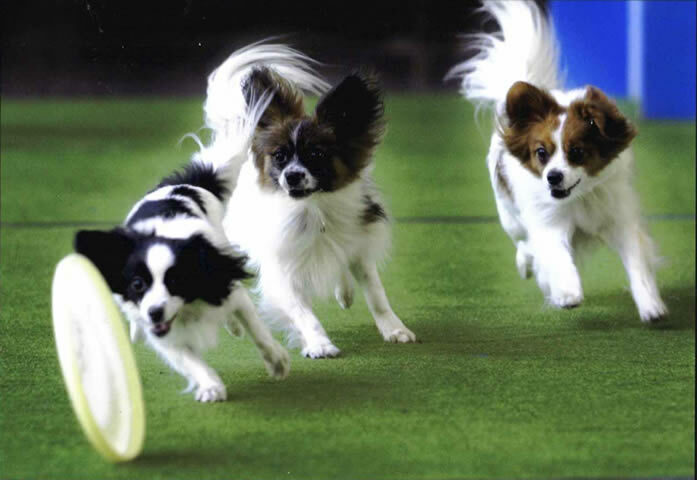 Have you taken obedience and agility classes and are looking for something new and stimulating to try with your dog? Come to play and learn! Improve on your skills and add to your canine sports performances. Your dog should have participated in obedience classes and is at a Novice level of agility or higher.